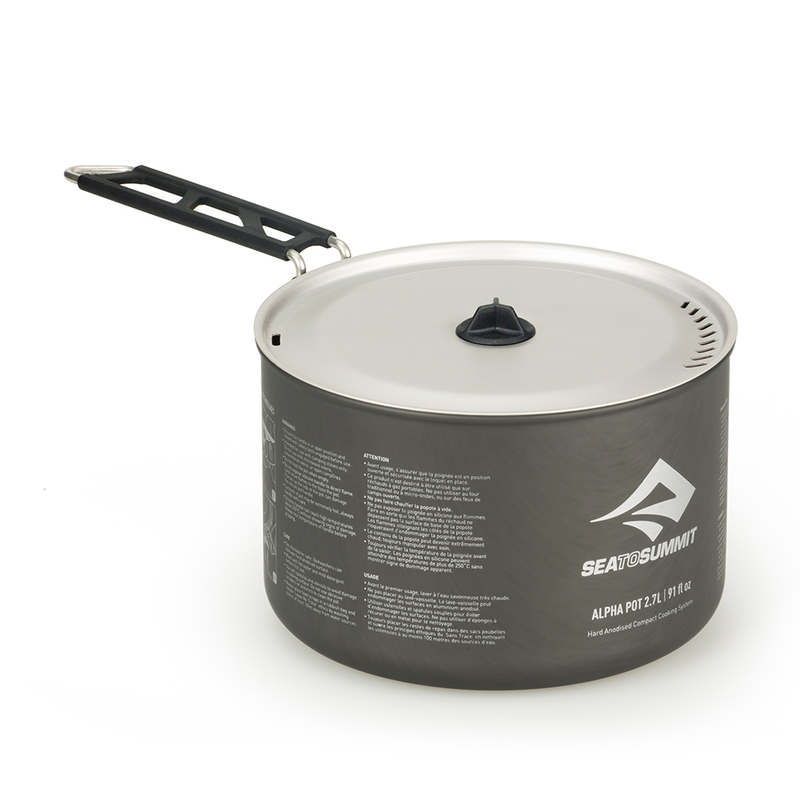 The Sea to Summit Alpha Set 4.2 cookset, consisting of 2.7L and 3.7L Alpha Pots with 4 DeltaLight Bowls and 4 DeltaLight Insul Mugs, offers a versatile cookware system for a family or a backcountry group of 4 outdoor enthusiasts. 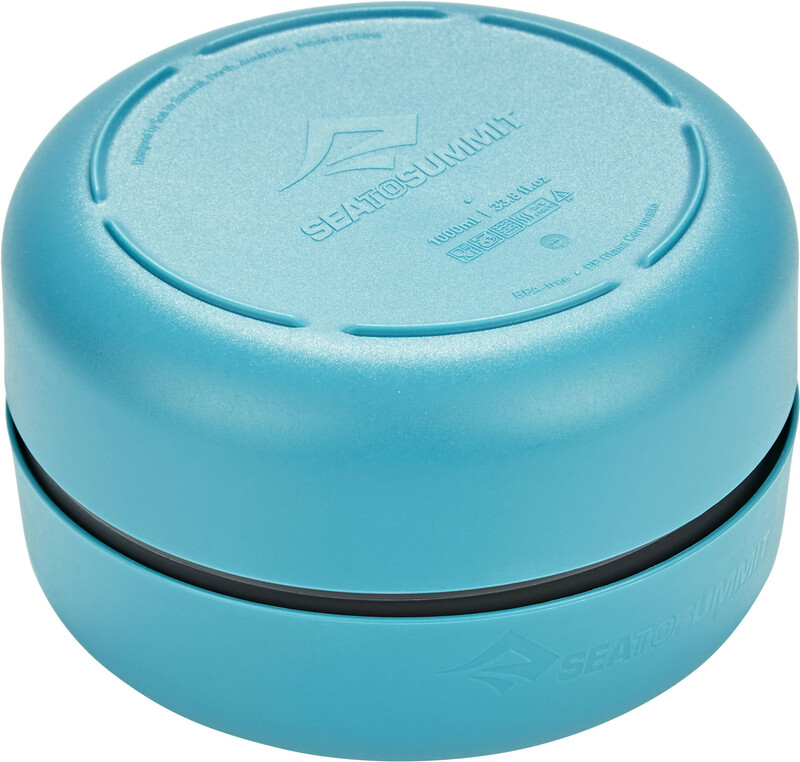 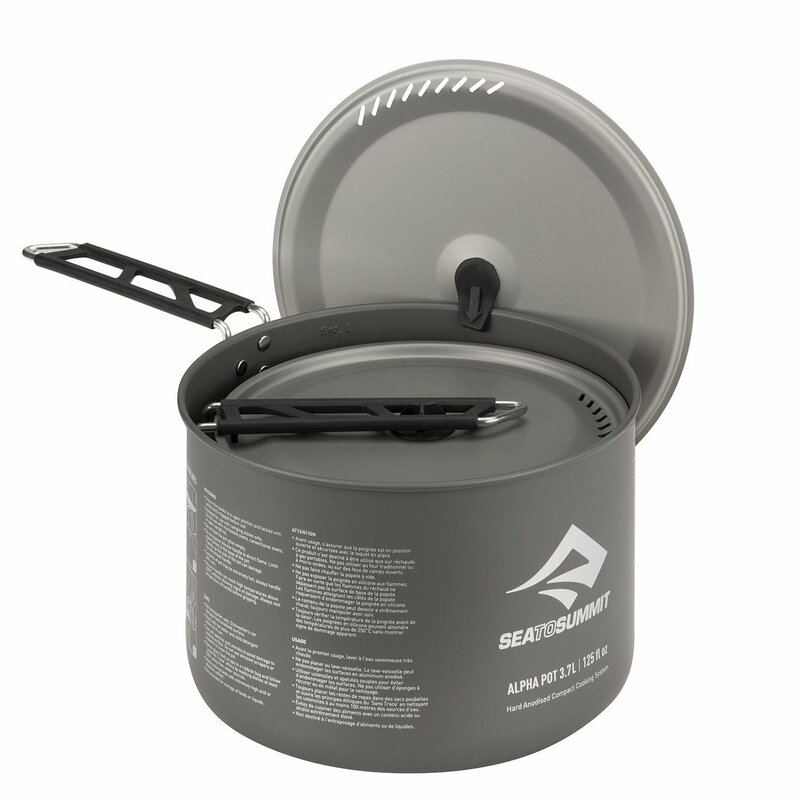 and friends on your camping trips.. With features like the Pivot-Lock™ handle that locks firmly in place, unique slotted strainer pattern in the lid, silicone Lid Keep™, plus DeltaLight Dinnerware pieces and the ability to nest together. 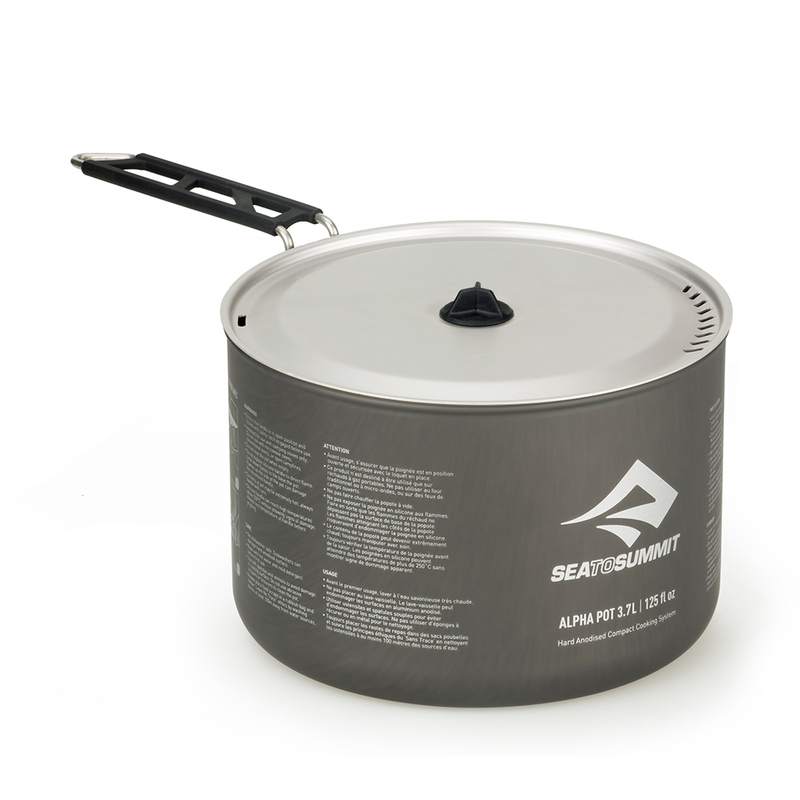 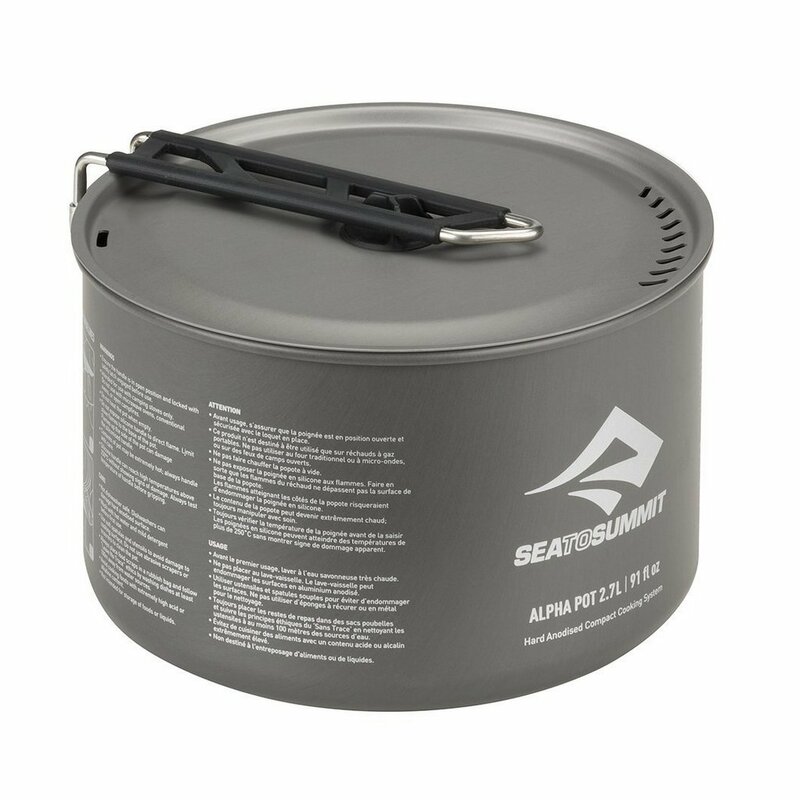 Using a hard-anodized alloy, the Alpha Pots provide a durable, abrasion resistant and easy-to-clean cooking surface. 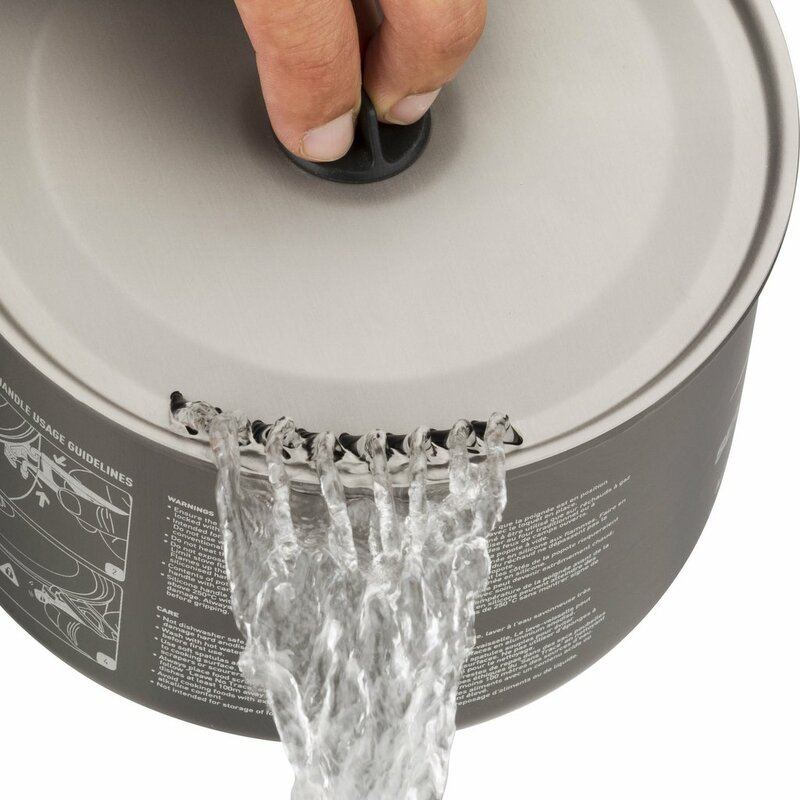 prevent unnecessary contact with sharp or abrasive objects. 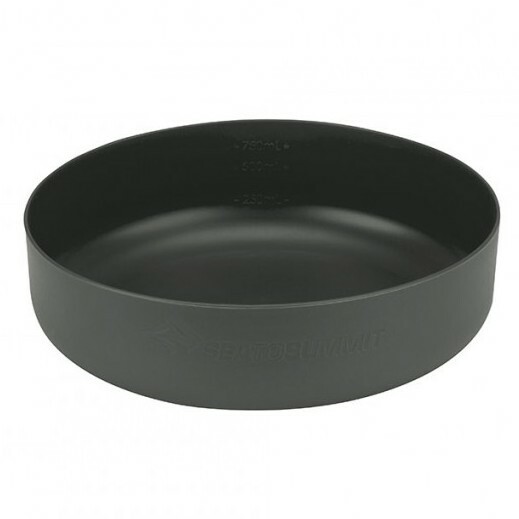 In Use Size 18.2 x 12cm, 7.2 x 4.7" 20.3 x 13.5cm, 8 x 5.3"
Packed Size 12 x 12cm, 4.7 x 4.7" 13.5 x 13.5cm, 5.3 x 5.3"
BPA-free, glass reinforced polypropylene set perfect for any outdoor adventure. 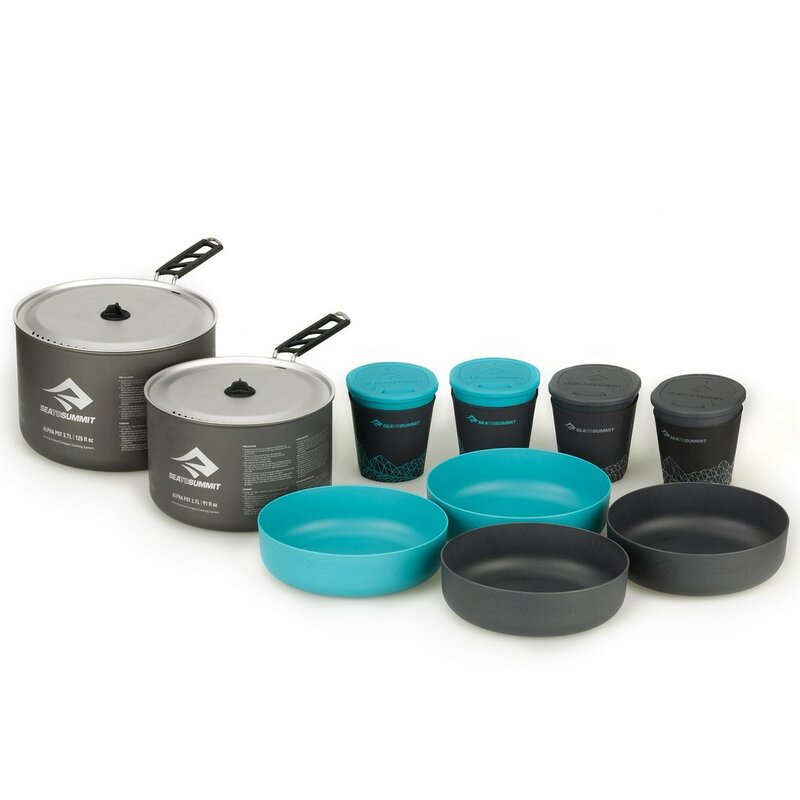 This compact, space saving camp dining set for 4 nests neatly together and the entire set fits inside the 2.7L Alpha™ Pot. 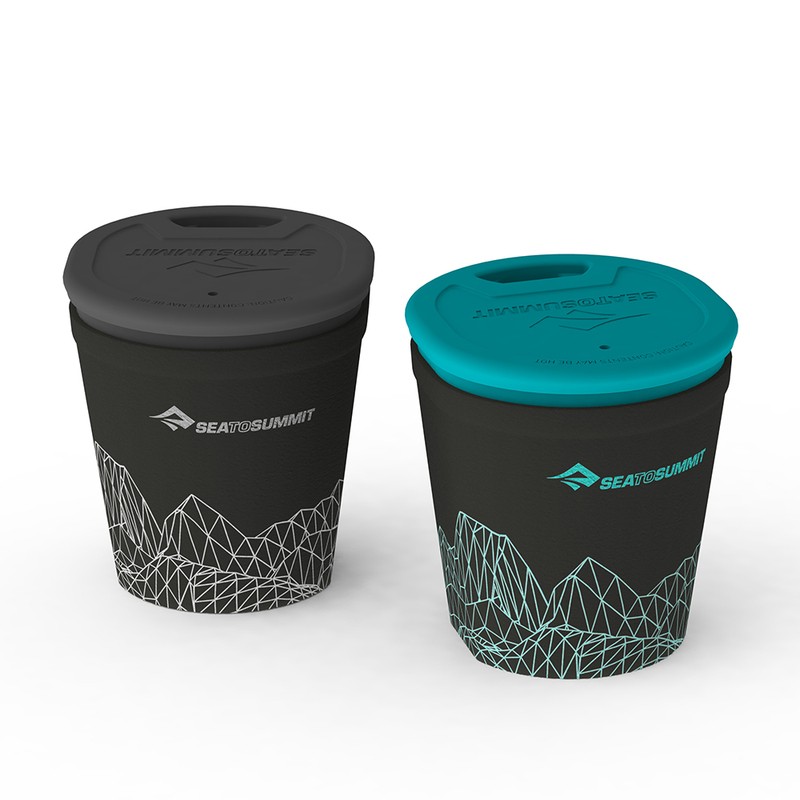 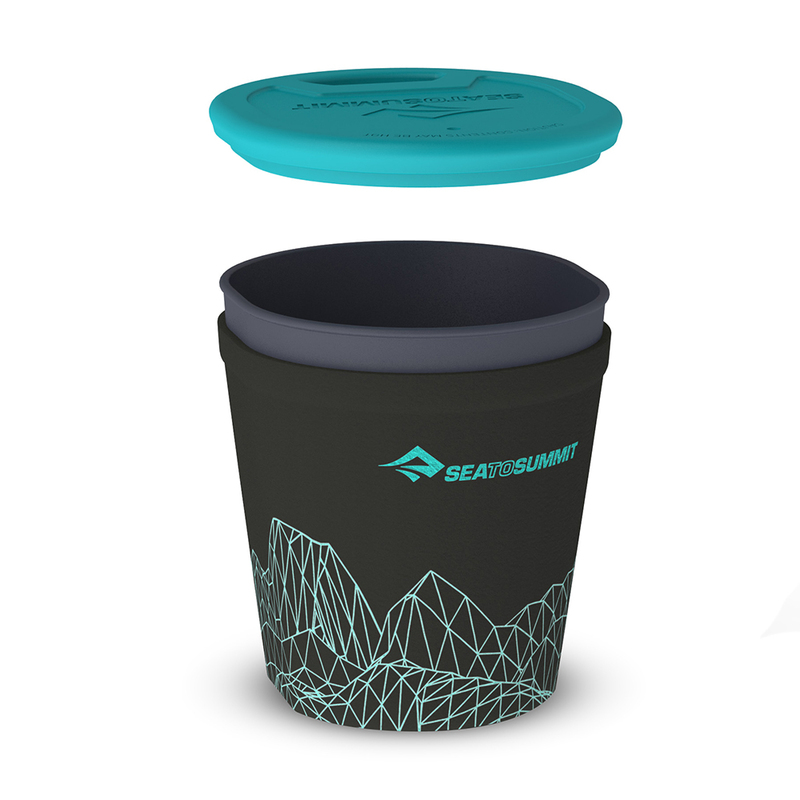 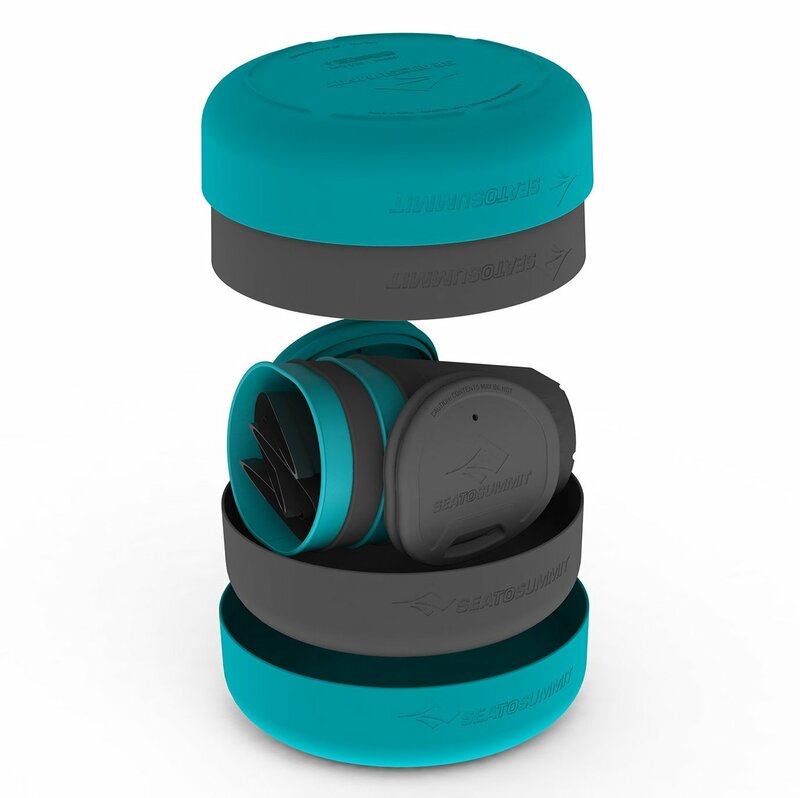 The ergonomically shaped DeltaLight Insul Mugs come with removable silicone sipping lids and easy to clean insulation sleeves. 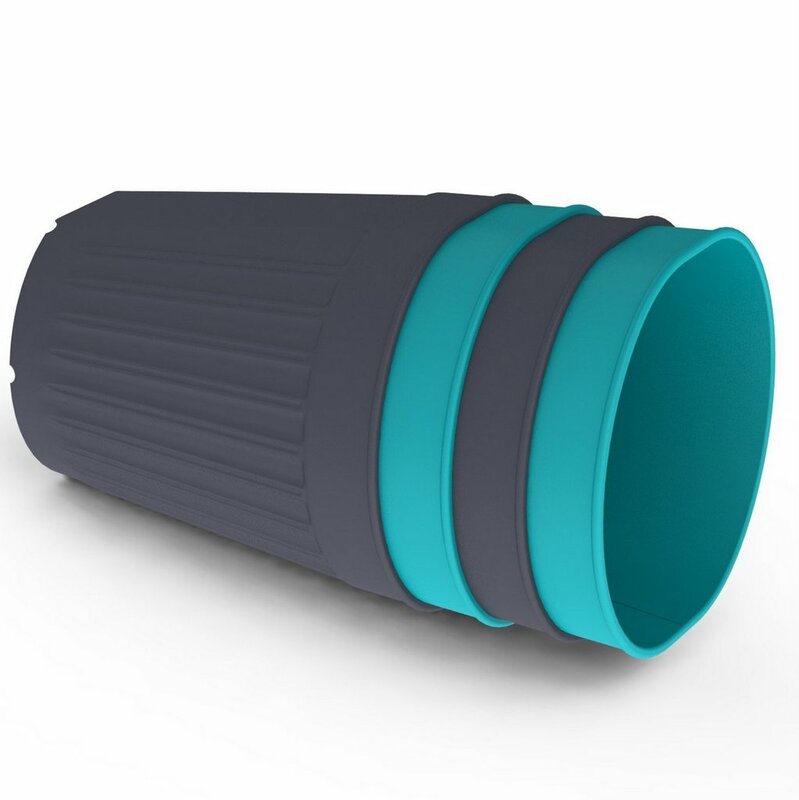 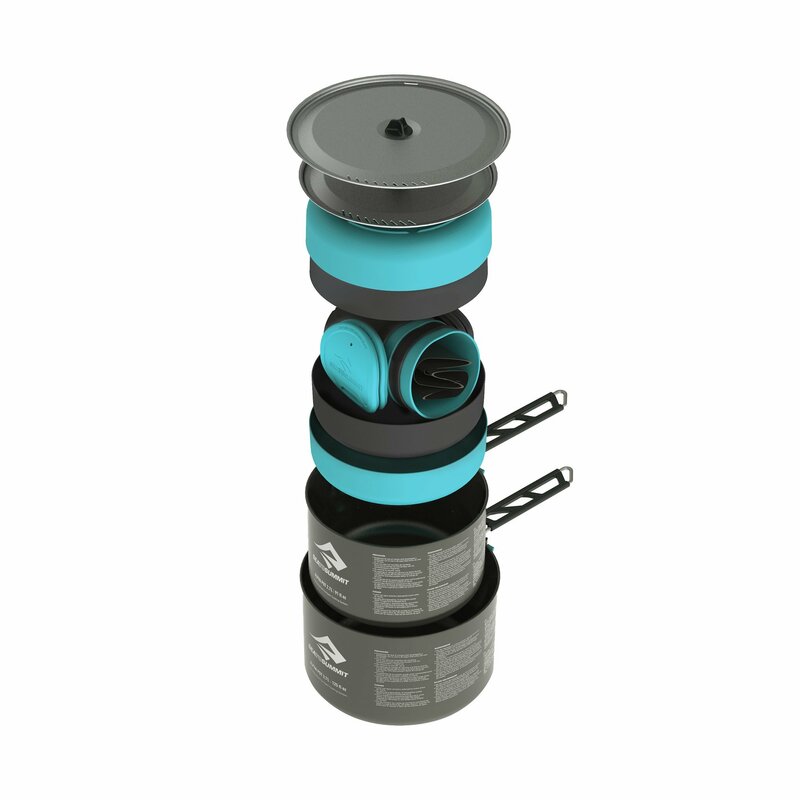 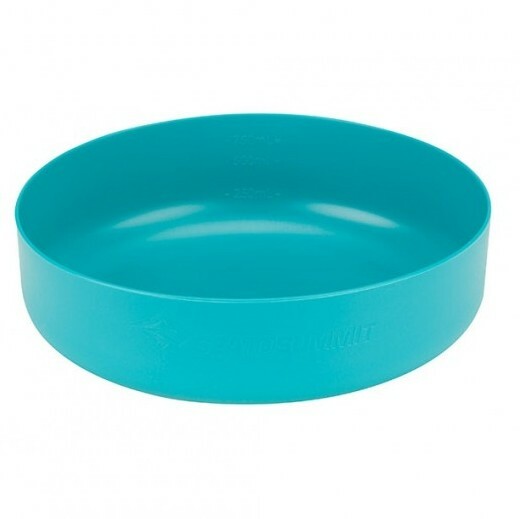 The mugs pack right inside the bowls and the bowls can be stacked together. 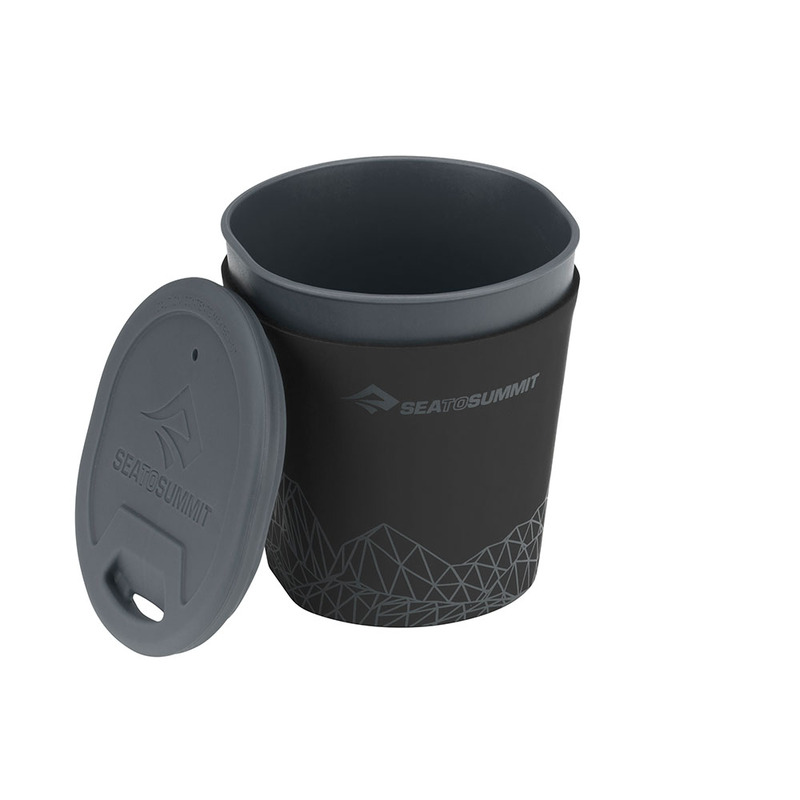 All of these items can be stored directly in our Alpha Pots.